Subaru of America saw a surge of Outback sales in March, which helped keep its monthly sales streak alive despite an industry slowdown. The Japanese automaker sold 61,601 vehicles in March in the U.S., an increase of 6 percent. Subaru sold 18,539 Outbacks, which accounted for 30 percent of the brand's sales last month. Subaru's streak of year-over-year sales increases now stands at 88 months. The Ascent three-row crossover chipped in 7,932 units in March, surpassing the nameplate's previous sales record of 7,733 units set in December 2018. The Ascent went on sale in June of last year. Besides the Forester, which was down 2.8 percent, every Subaru nameplate was down in March by at least 11 percent. Through the first quarter of 2019, Subaru has sold 156,754 vehicles, an increase of 4.7 percent from the year-earlier period. Subaru is targeting a U.S. sales goal of 700,000 vehicles in 2019, an increase of 3 percent over 2018's record total. Notable nameplates: Outback, up 10%, Forester, down 2.8%, Crosstrek, down 28%, Impreza, down 11%, Legacy, down 19%, WRX/WRX STI, down 19%, BRZ, down 14%. Q1 2019 U.S. light-vehicle market share: 3.9% vs. 3.6% in Q1 2018. Incentives: $1,413 per vehicle, up 18% from a year earlier, ALG says. Average transaction price: $29,305, up 5% from a year earlier, according to ALG. 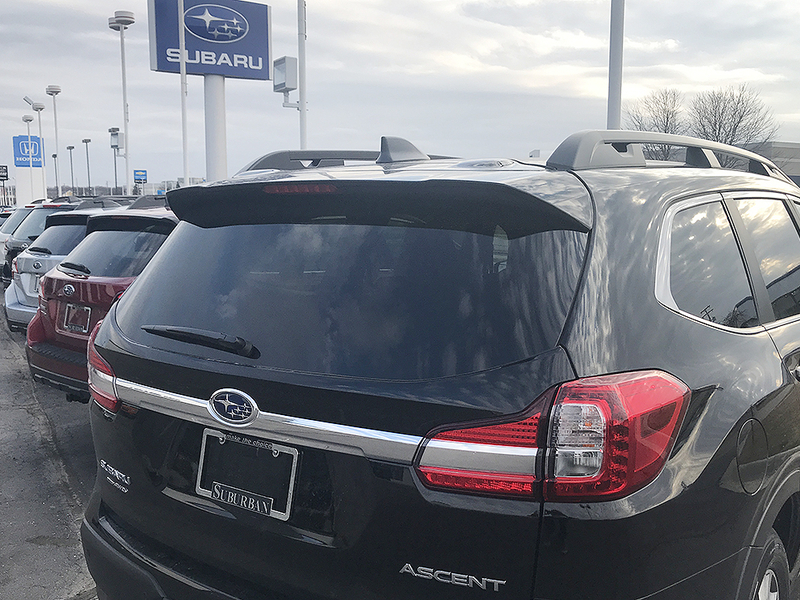 Quote: "We're particularly excited that Ascent had its best month ever and Outback its best result in 18 months," said Jeff Walters, Subaru of America senior vice president of sales, in a statement. "With the support of our retailers, we are well positioned to carry this momentum into the spring selling season."